That was the prevailing view until 1936. 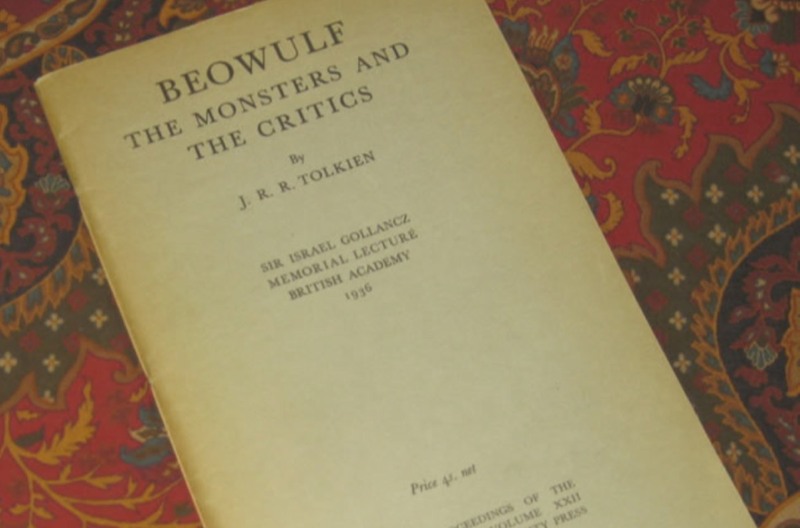 That’s when Tolkien published his seminal literary analysis, “Beowulf: The Monsters and the Critics,” in Proceedings of the British Academy, based on a lecture delivered that same year. Tolkien was a great admirer of Beowulf, which greatly influenced the world-building of The Hobbit and his Lord of the Rings trilogy. 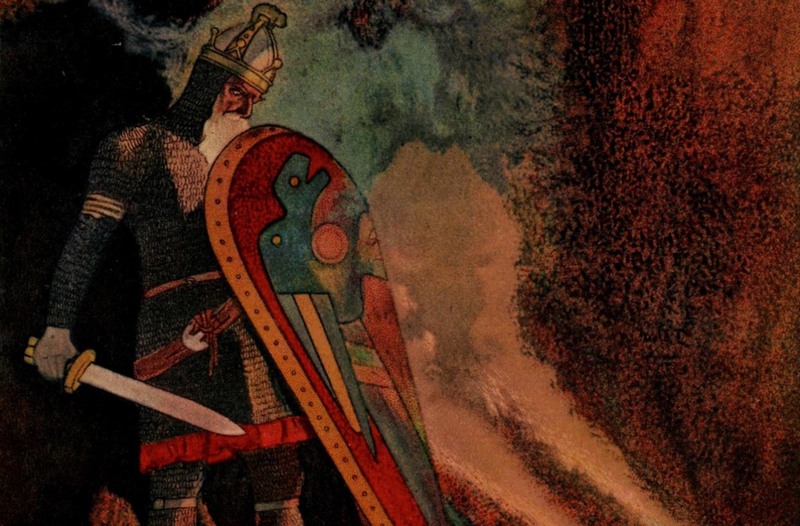 In Tolkien’s paper, he argued for an earlier eighth-century composition date, based on textual evidence of a strong influence of Anglo-Saxon paganism. As Krieger points out, every character in the poem is a pagan, although “it’s overlaid throughout with a Christian perspective and infused with Christian language.” Tolkien also defended the single-author viewpoint in the essay. The methodology in this case is called stylometry, which analyzes the statistical characteristics in textual style: the poem’s meter, for example, or how many times different words or letter combinations appear in a given text. Everybody uses language a bit differently: we favor different punctuation or turns of phrase, have a broader or narrow vocabulary, and so forth. Stylometry is intended to identify and quantify those individual tics. Collecting that data for an unknown text and comparing it to texts by known authors can, in theory, make a positive identification. A paper published last week in Information Sciences by Polish scientists found that it’s possible to identify an author based on connections between just a dozen words in an English text and even fewer words for texts in Slavic languages. 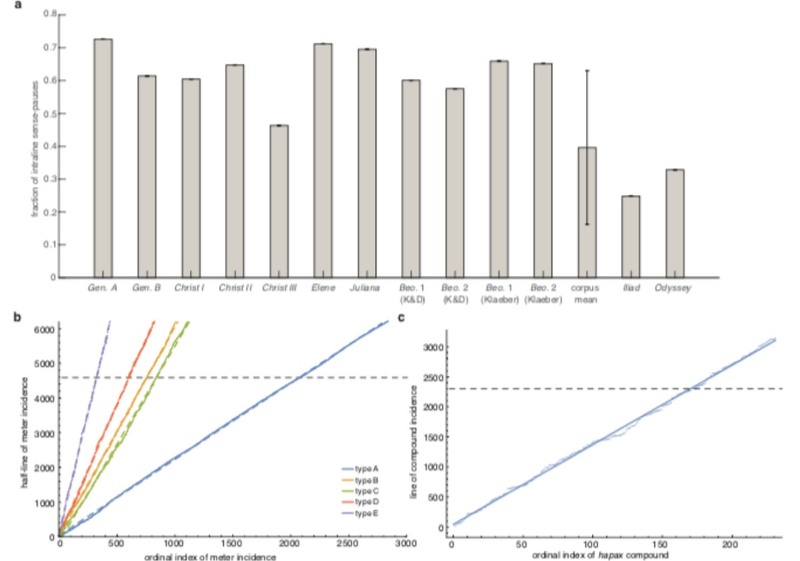 For their analysis, Krieger and his co-authors examined four broad categories: meter, “sense pauses” between clauses and sentences in many of the lines (serving as a kind of punctuation), word choice, and letter combinations. The latter provided the best markers for this kind of measurement. They found that, based on those metrics, the text of Beowulf is remarkably consistent throughout. “So as we keep adding more and more features, it becomes harder and harder to believe that a text isn’t just the homogenous work of one person,” said Krieger. Krieger et al. also analyzed a collection of four Old English poems believed to be written by an author known only as Cynewulf. 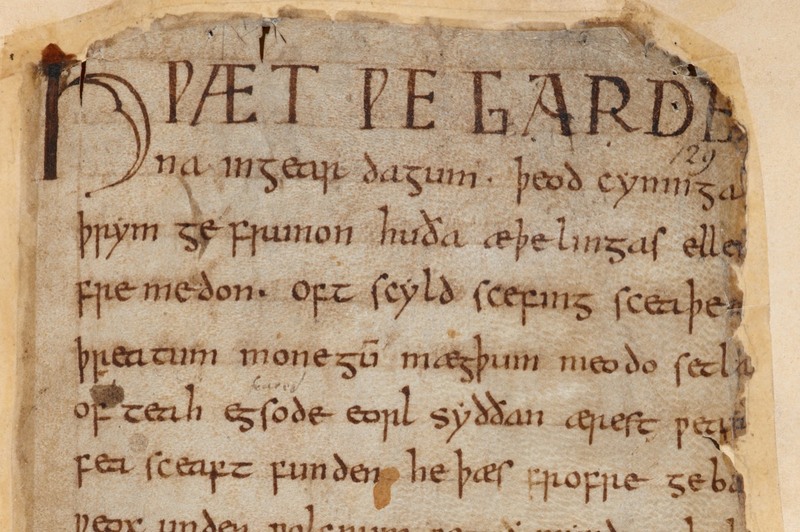 Some scholars have noted certain similarities in style and theme in other anonymous Old English poems and sought to also attribute them to Cynewulf, although the consensus is that those were likely the product of a Cynwulfian school of poetry. Krieger et al.’s analysis showed that Cynewulf was very likely the author of three (and possibly all four) of the signed poems, based on stylistic homogeneity, as well as an anonymous poem called Andreas, which tells the story of St. Andrew the Apostle. “Authorship attribution is hard,” said Simon DeDeo of Carnegie Mellon University, a former physicist who now applies mathematical techniques to the study of historical and current cultural phenomena, who was not involved with the study. Case in point: in 1995, a scholar named Donald Foster claimed, based on his computer analysis, that a poem entitled “Funeral Elegy for Master William Peter” had been written by William Shakespeare. But it wasn’t: the poem was written by John Ford, a Shakespeare contemporary best known for his play, ‘Tis Pity She’s a Whore, who was known for imitating the Bard.